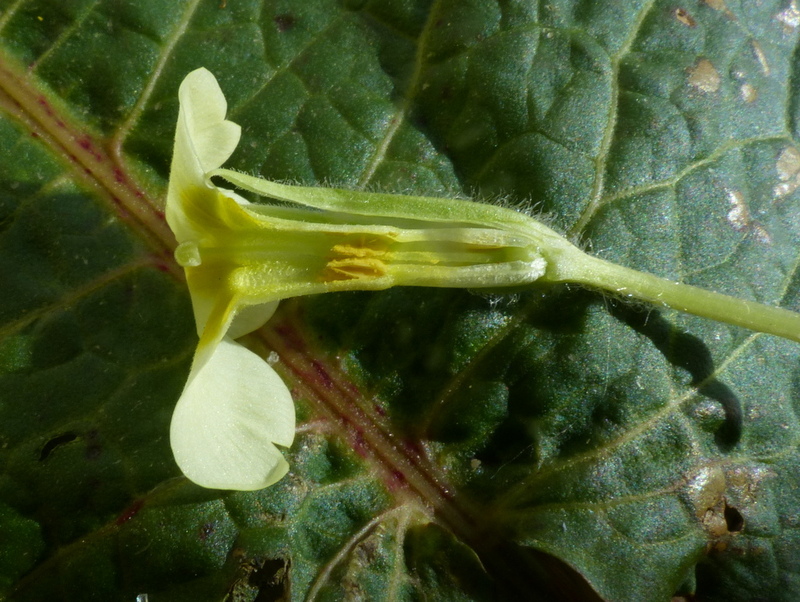 This is just a quick Easy Wildflowers update. 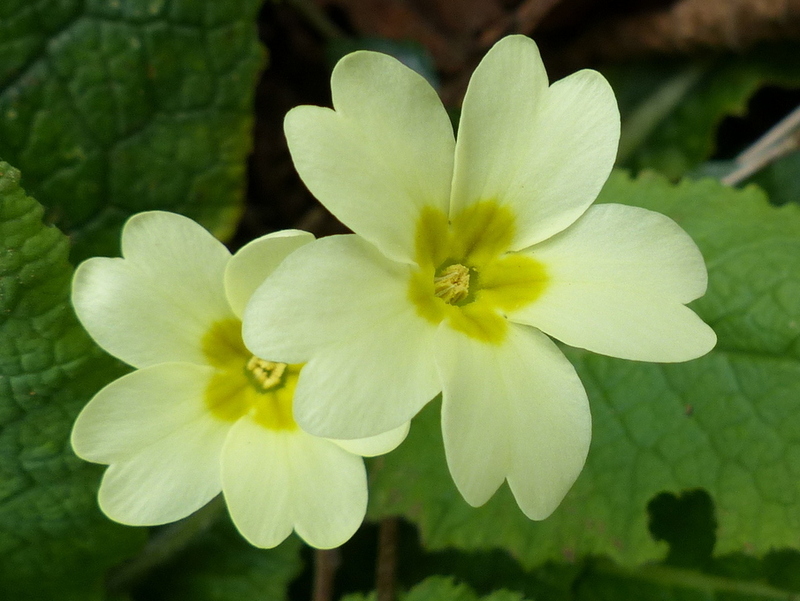 I wrote about primroses this morning and I thought that I should share a few images with you. The posts that I put there are actually pages. 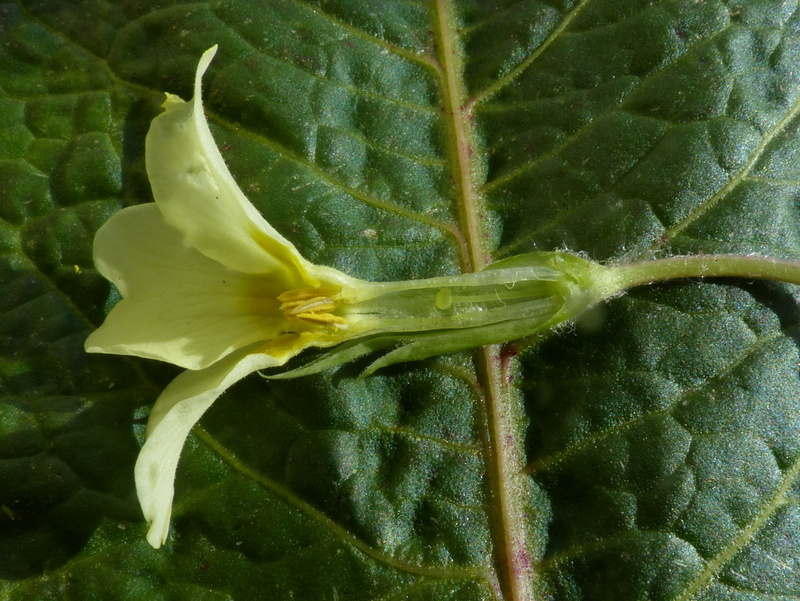 They won’t appear in your Reader even if you have followed that blog (sorry) for now I am using pages because they have a hierarchy that I may use to link different plant families and create a sort of taxonomy (I am not sure how that will work yet). My reservation about using pages is that I can’t put Tags/labels on them so they might be harder for search engines to find but my experience of search engines is that they pick up titles quicker than labels. 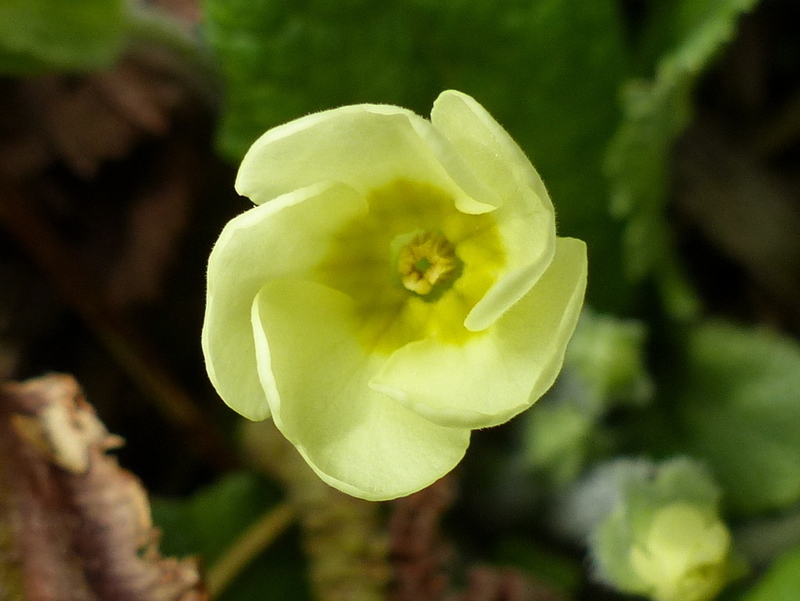 If you don’t know about pins and thrumbs then you have to read the article but it is only really there for people who can’t recognise Primroses. Anyway I told you that we would have flowers in the winter. Today I have a lot of responsibility on my shoulders. There is a Fox in the Hen house and I have been left on my own to look after an over sexed Dog who keeps trying to escape and misbehave. 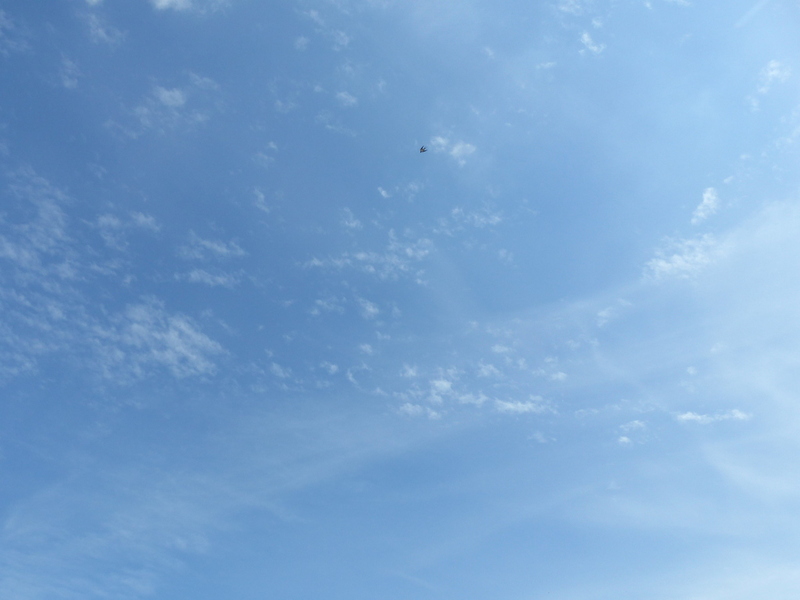 I have got to get a CCTV system up and running and….. wait a minute…. maybe I can use the CCTV to keep an eye out for canine intruders. I am not supposed to let the sheep roll on their backs or they will be unable to right themselves and they will explode (that is what I was told) Video camera at the ready for that one. No! kindness shall prevail. Exploding sheep. Randy dogs. Foxes in the coop. How do I get a job like yours, Colin? 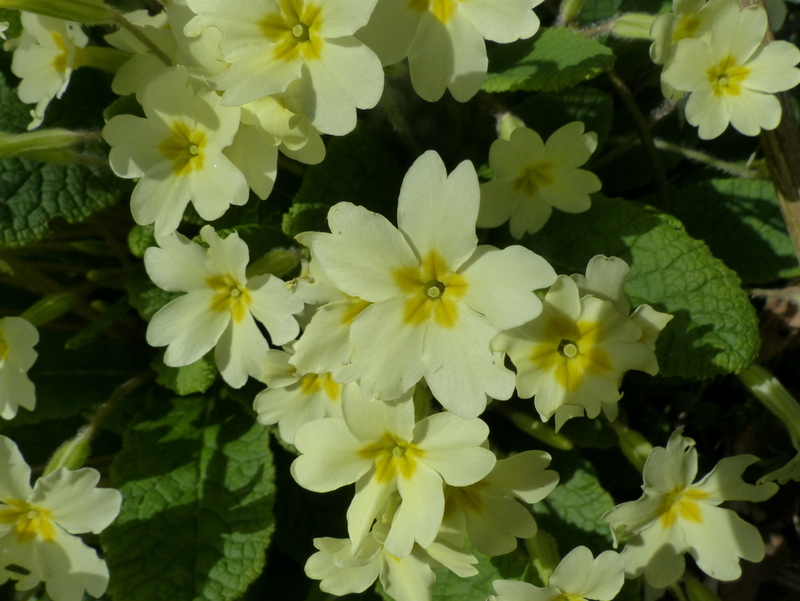 Your creamy primroses are lovely, and I enjoy them on garden walks here. I always think of them as oil paints while most flowers are watercolors. 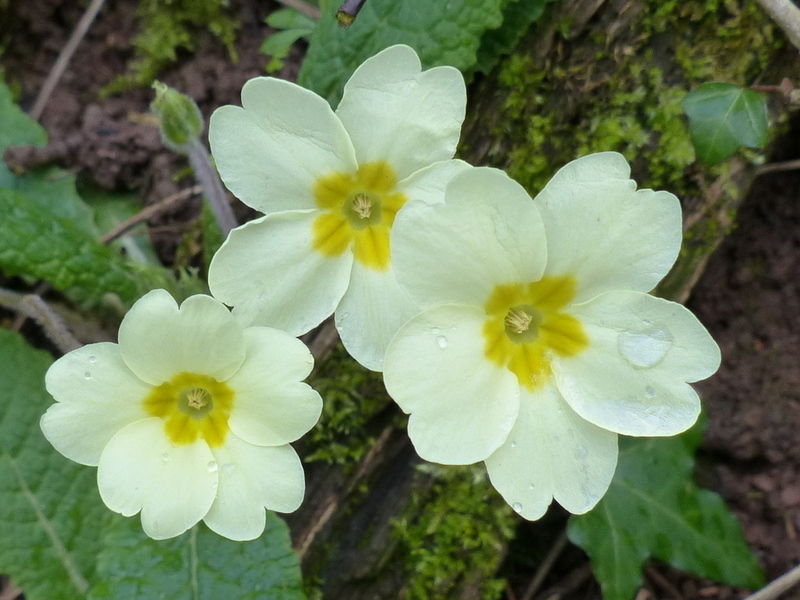 Love the primroses..they look so delicate. You have a lot on your shoulders today, by what we read! What responsibilities! No wonder your farmer has taken himself off for a few days! 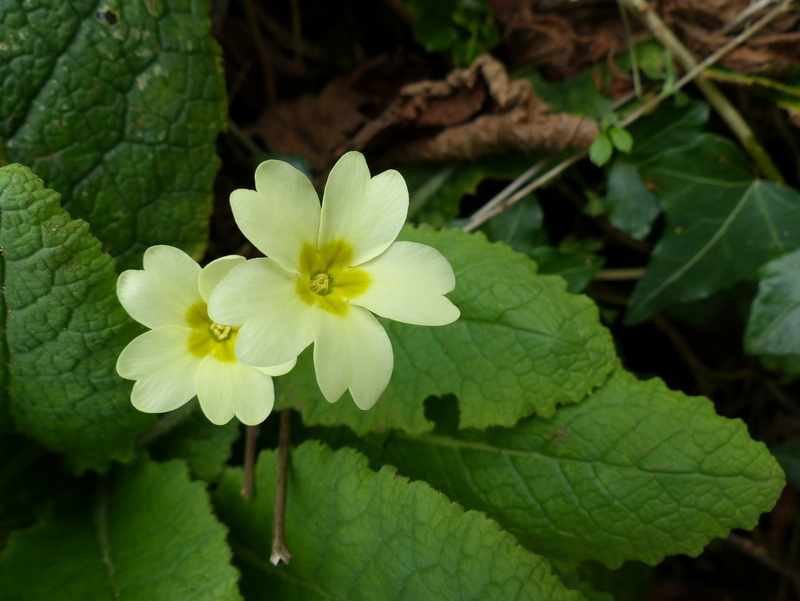 I enjoyed looking at the primrose photos. The sheep will explode and you’re supposed to watch them and defend Fizz’s honor (which she probably doesn’t care about herself…..) all at the same time? You’ll be a busy man over the weekend. 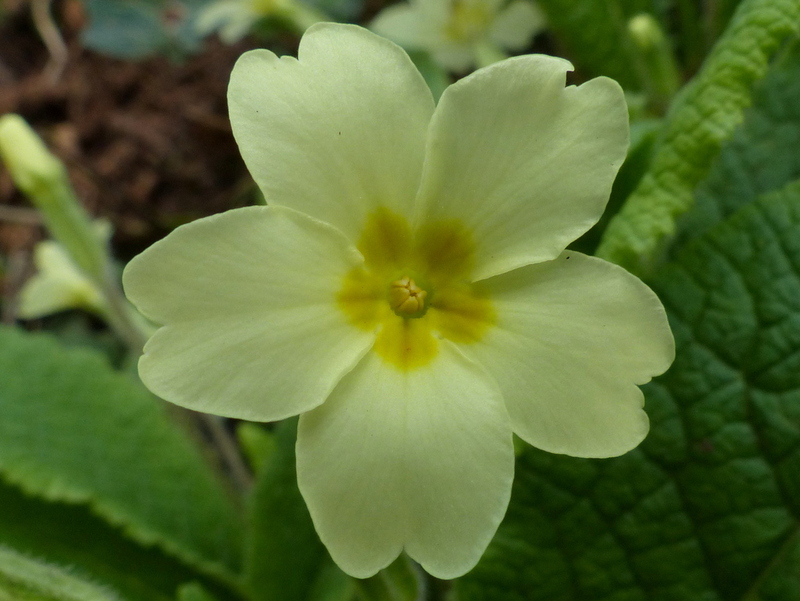 Thanks for the primrose pictures. 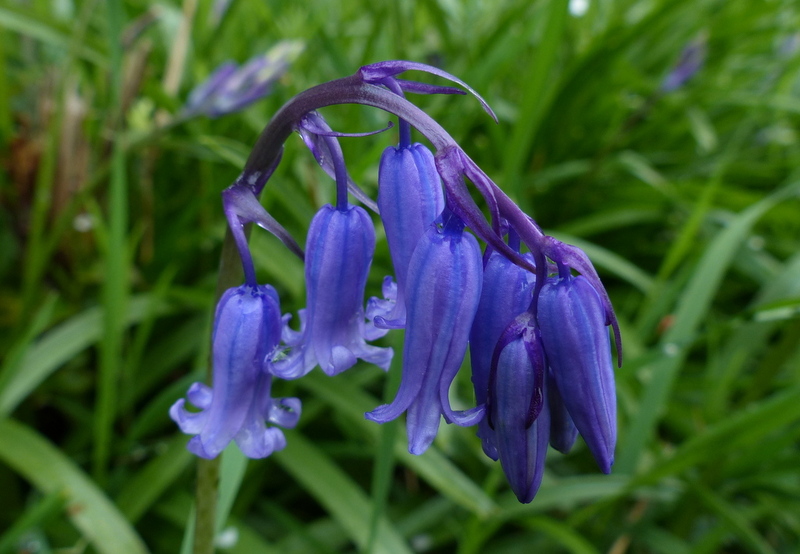 Such a simple flower, yet so pretty and delicate. Exploding Sheep! The Wye Valley sounds a bit Pythonesque. Wow, I always learn something from your blog. I have never heard of exploding sheep before…that’s just…wow! Really?!? Thanks Lisa 🙂 No explosions yet. Colin, I wouldn’t worry too much about the sheep. Some old wives tails refer to them as stupid but they are very intelligent and in all my life I have never known of one getting into such a position that it could not release gas. 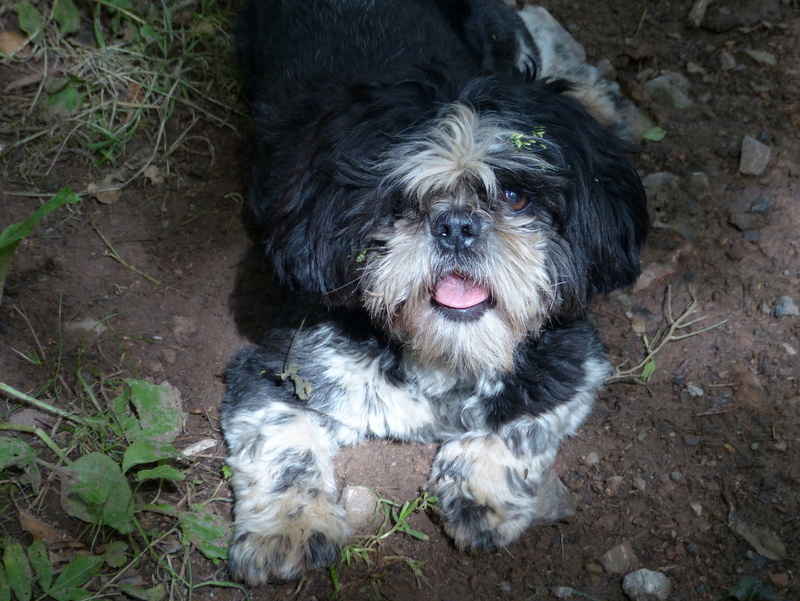 So just look after Fizz and let the sheep be. Although if they a very long in the wool and it rains a lot one or two might fall down and have difficulty getting up. But you’d still have plenty of time to go and make a cup of tea and then go and give it a bit of a roll over. Thanks John 🙂 I have noticed how smart sheep are and inquisitive. They are the only animal that notices my trail camera, they keep messing about with it, maybe trying to eat it but they notice something different when I strap it to a tree. That’s not true about the sheep, is it? 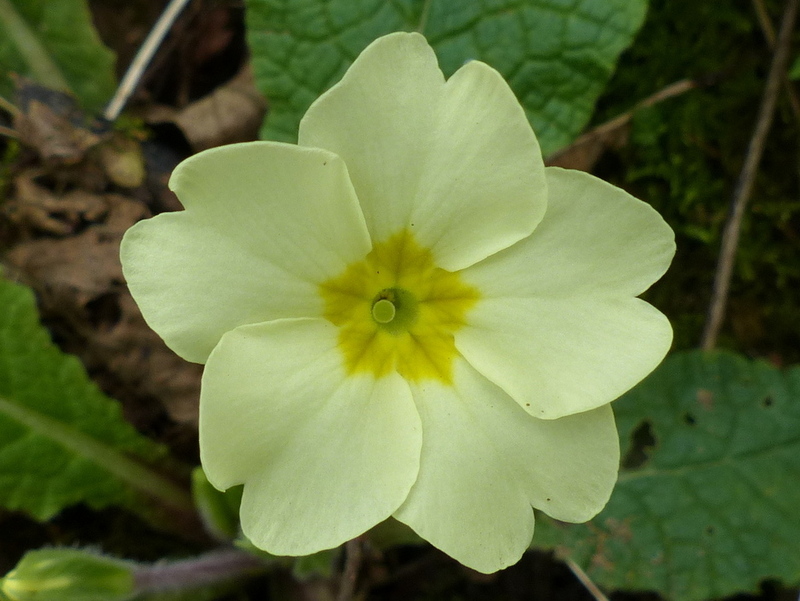 I really like the creamy primroses too. Beautiful!